Robert “Bob” Griswold of Vancouver, beloved father of Kristin (John), passed away peacefully on December 10th, 2018 at the age of 85 years at Vancouver General Hospital. He lived life to the fullest. Bob was born September 7th, 1933 to Dwight and Jeannie Griswold in Vancouver, BC. He attended Laura Secord Elementary and Brittania Secondary School. In 1954, Bob joined the Royal Canadian Naval Reserve and served for five years. 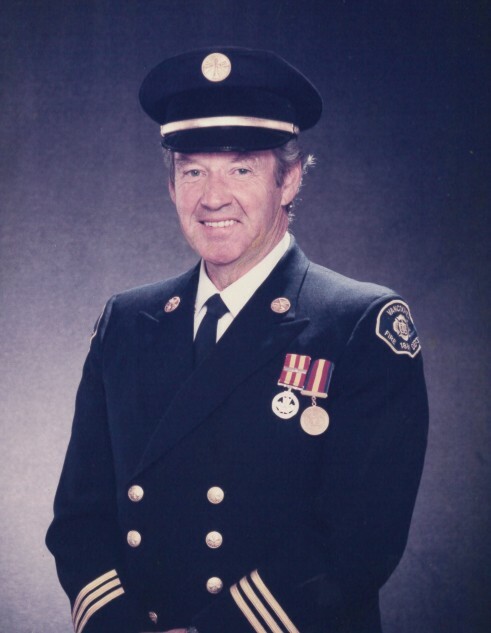 Bob joined the Vancouver Fire Department in 1957, and thus began one of his favourite paths of life. He worked his way up the ranks and retired as Assistant Fire Chief in September of 1993. He was a member of the VFD Scuba Search and Rescue Squad earlier in his career. He was also a member of the VFD Band and had many great adventures. He was fortunate to travel the world and some of his favourite times were skiing in Austria, diving in the South Pacific, and taking his daughter on many travels to discover all the world has to offer. He felt travel was one of the most valuable forms of education. Bob enjoyed playing tennis, soccer, hockey and baseball. He had several hobbies, but particularly enjoyed his model trains and building intricate model ships. Bob also enjoyed spending time at Spanish Banks with his faithful and loyal dog Kali. Bob is survived by his daughter Kristin Dinsmore (husband John). One of his greatest prides and joy was being a very loving and caring dad. He was so very kind and had a heart of gold. He was always a true gentleman and always put others before himself. He loved his four grandchildren with all his heart - Alexia, Daniela, Thomas and Andrew. He traveled often to spend time with them in both Fresno, California, and later in Roanoke, Virginia. He is also survived by cousin Michael Chapman (wife Bernie) of North Vancouver. Bob was predeceased by his parents Jeannie and Dwight Griswold and loving godparents Cora and Chick Robertson. A special thank you to everyone who cared for Bob at VGH, for their loving care and support. A Celebration of Life will be held at 1:00 pm on Friday, January 4th, 2019 at FIREFIGHTERS SOCIAL AND ATHLETIC CLUB, 6515 Bonsor Avenue, Burnaby, BC. Flowers are gratefully declined. Those who wish, memorial donations may be made to Vancouver Firefighter Charities, www.vancouverfirefighters.ca or 604-436-3335.